Having recently celebrated my 30th year with the Wilderness Foundation, it is appropriate to take a moment to reflect on where we have come from before we plan for the future. The Wilderness Foundation was established in 1972 by conservation pioneer and my mentor, Dr Ian Player, who led the team that saved the white rhino from extinction in the 1960s. The team at the Wilderness Foundation will continue the legacy of Ian, working to create a world that has sufficient intact natural ecosystems and wilderness areas that are valued and effectively protected for the benefit of all species. In June 2015 we fulfilled a dream of Ian Player, which was to consolidate the various organisations he had formed, through the launch of Wilderness Foundation Global (WFG). I am proud to say that WFG is the only conservation organisation born out of and operating in Africa. 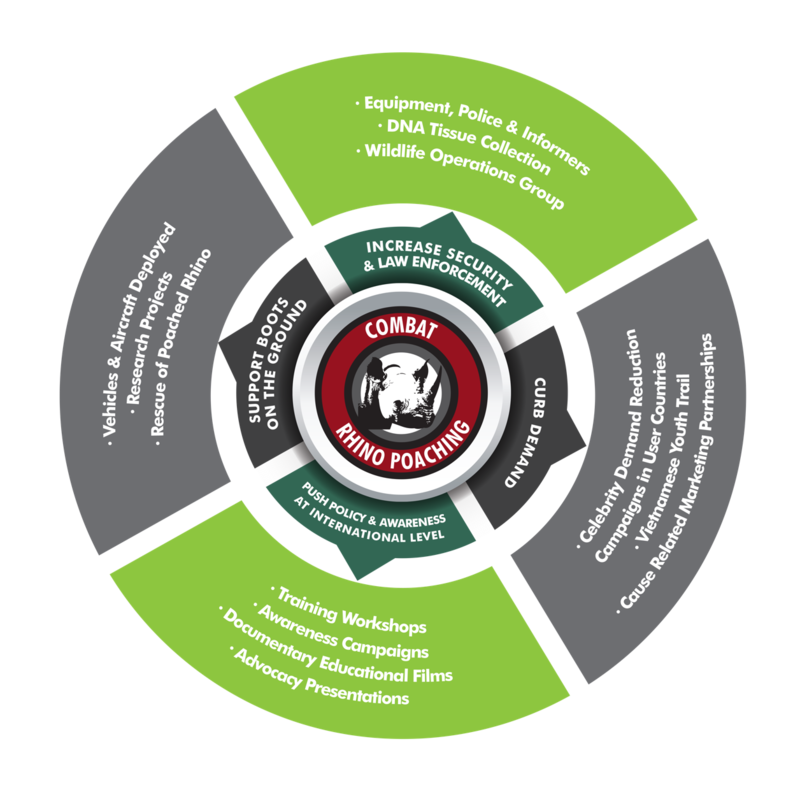 In addition, we have a holistic approach to conservation, focusing on three core areas – Species, Spaces and People. As conservationists, our challenge is to provide innovative solutions to complex environmental problems in a rapidly changing and uncertain world. Two of the biggest issues that we are dealing with on a global scale are global warming and the impact that it has on all species on earth, as well as the issue of social and economic inequality. Both of these have come to the fore in past year in different ways. One may ask how these issues affect conservation and the simple answer is that it is all interconnected. Global warming is affecting species migrations and in some cases, extinctions. Rural and impoverished communities are becoming more dependent on the environment for their survival. These are changes we have to be mindful of and be a part of finding solutions that ensure sustainability. In the past year, the rhino crisis has been top of mind. We believe that this is an indicator of a greater crisis with many species. Conservation organisations need to find an integrated approach to wildlife conservation. Every eight hours, another rhino is killed in South Africa … and the number is growing. 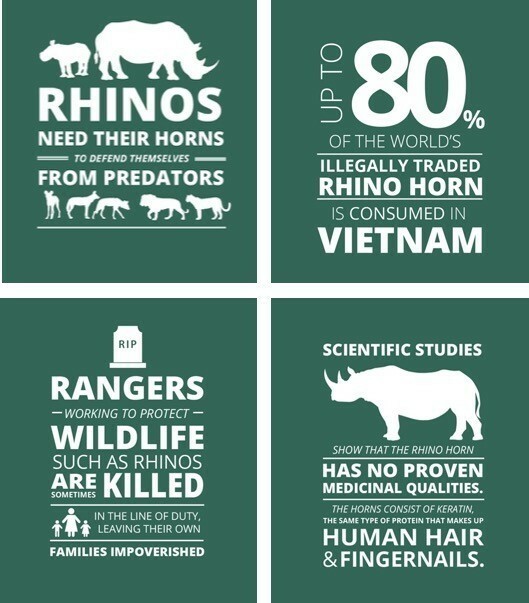 The rhino poaching crisis, as well as other wildlife crime, is of national and international significance and affects all levels of society. Wildlife crime is the fourth most profitable illicit trade in the world, estimated at up to $213 billion annually. Until 1970, rhino populations worldwide were relatively stable with minimal poaching incidents. Subsequently with the oil price soaring and per capita income in the Yemen increasing seven-fold, elaborately carved rhino-horn dagger handles became a prized symbol of status and wealth. Within a single decade, half the world's rhino population had disappeared, and all of the rhino species were either threatened with extinction or endangered. Since then, thanks to various conservation efforts and improved security measures, the black rhino and white rhino populations have increased. But these gains are in danger of being reversed by the drastic resurgence of poaching. Now also peddled as a cancer cure, the demand for the horn is rising, along with the price. Contrary to widespread beliefs, the rhinoceros horn has no proven medicinal or aphrodisiac qualities. The horns consist of agglutinated hair or keratin, the same type of protein that makes up human hair and fingernails. In 2007, South Africa lost only 13 rhino to poaching. This number increased to 83 in 2008, 122 in 2009 and more than doubled in 2010 to 333. In 2011 we lost 448 rhino and in 2012 we thought we reached the turning point at 668. But 2013 increased to 1004, 2014 to 1215 and in 2015 the number of rhino killed for their horns was 1175. Our focus over the next few years, besides on the ground protection of wildlife, will be reducing the demand for these products, such as rhino horn, elephant tusks, lion bones, etc. We believe that through education and awareness campaigns with key target markets, we can successfully reduce the demand for illegal wildlife products. It will take time, but we have taken on the challenge and have already had small successes. I believe that success is built on the cumulative impact that multiple projects that reach milestones can have for the greater good of conservation in Africa and I urge each of you to assist in achieving these conservation goals.